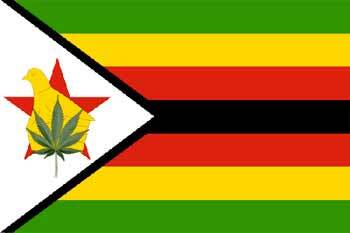 A member of parliament (MP) from Zimbabwe's ruling ZANU-PF (Zimbabwean African National Union-Patriotic Front) has called for the legalization of marijuana cultivation for medicinal reasons and/or for export. That call was rejected by the country's agriculture minister. Uzumba MP Simbaneuta Mudarika suggested that marijuana be grown legally in "remote areas" as medicine and to export to countries where it is legal. According to New Zimbabwe News, the notion prompted prolonged laughter and uproar in the chamber. "I would like to know from the Minister the national policy with regards to creating export processing zones (EPZ) in remote areas," said Mudarikwa. "The reason for creating the EPZs in those remote areas is so that we can grow marijuana. Other countries like California and Norway have legalized it," he added. Legislation has been filed to legalize medical marijuana for people with debilitating conditions, such as cancer. House Bill 2330 would provide for the registration and operations of not-for-profit compassion centers, which would have the authority to possess, cultivate, manufacture and dispense medical marijuana. Patients would have to have a doctor’s recommendation and a license from the Kansas Department of Health and Environment. The license would permit them to possess up to six ounces of medical marijuana. The New York City Police Department arrested nearly 140 people a day for low-level marijuana possession offenses in 2010, according to recently released figures from the New York Division of Criminal Justice. Arrests totaled 50,383 last year, accounting for more than 6% of all small-time pot busts nationwide. While for the past 20 years, New York City has had high marijuana possession arrest rates, last year was the sixth year in a row that the numbers increased. Last year's arrest totals marked a 69% increase over the 29,752 pot possession arrests in 2005. Since Mayor Michael Bloomberg took office in 2002, more than 350,000 people have been arrested for misdemeanor pot possession in the Big Apple. The dramatic increase in arrests comes even as marijuana usage rates have declined from the 1980 peak, according to US government data. The arrests suggest that the NYPD has quietly made small-time pot busts its top law enforcement priority. Although the Drug Policy Alliance (DPA) put out a press release with the numbers a week ago, and the story received some play in New York City media, neither Mayor Bloomberg nor the NYPD have deigned to comment.